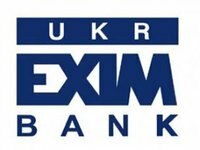 The Ministry of Finance of Ukraine has not yet decided on the privatization of Ukreximbank (Kyiv), board member at the financial institution Oleksandr Schur has said. "I would not like to talk about the privatization of our bank because we have mixed signals from our shareholder ... First there were statements about sale, then other signals. So I will avoid an answer on this issue," he said at a conference of the Fitch Ratings international rating agency in Kyiv. The director of the financial stability department at the National Bank of Ukraine, Vitaliy Vavryschuk, in turn, said that the central bank, the Cabinet of Ministers and the Ministry of Finance had reached consensus on the need for the government to reduce its participation in the country's banking sector. "The share of state-owned banks should decrease in the coming years. We expect the finalization of the bank's strategy. As far as I know, this should happen in the near future. We expect that we will receive a very clear and detailed roadmap for the coming years as the government intends to reduce its presence in the banking sector," he said.